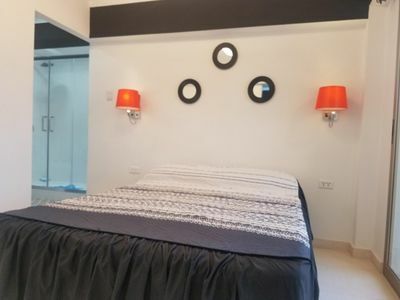 Apartment located in Vedado, which rents 2 air-conditioned rooms with private bathrooms, cold and hot water, with hydromassage cabin and jacuzzi. The rooms are fully equipped with linens, towels, have 2 double beds, TV and all amenities. 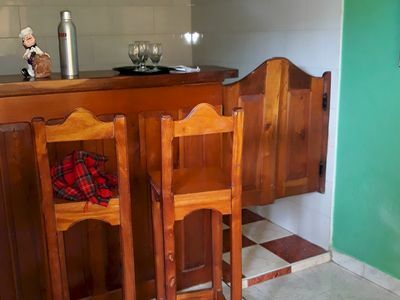 The house has a kitchen, living room, dining room, very comfortable balcony, with a lovely panoramic view of the Litoral Habanero and the beautiful city, equipped to sit in the leisure time and share with friends and families, all very comfortable for the enjoyment of Guest. 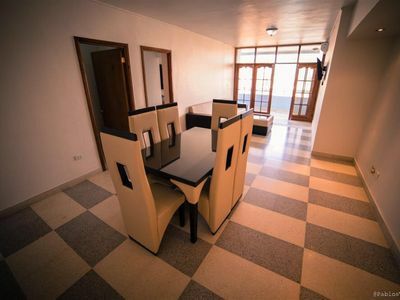 This apartment is in very good condition, so you will enjoy a good comfort, in one of the best areas of Cuba, the Vedado. It is located near the Restaurants: The Cathedral, El Helecho, Bolywood, Decameron, Potín, El Beduino, Artechef, Basque Center, a few meters from the Malecon Habanero, Hotel Meliá Cohiba, Hotel Habana Riviera and Banco Financiero Internacional, the nightclubs El Cocodrilo, Expresso Bar, Gran Añejo, Habana Café, Jazz Café and Los Violines, where you will have the opportunity to have fun and enjoy the attractive nights of Havana. Additional services are offered: washing and ironing clothes, breakfast.